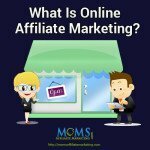 Finding the best affiliate marketing course can be a little overwhelming because of the vast amount of information on the internet. It’s easy for one to be mind-boggled especially if you are new to affiliate marketing and would like to learn all about affiliate marketing. You start to wonder who you can really trust, and if the course is even up to date. With so many products out there, which product is actually beneficial, and in addition to all that what is the best step to take next! So in this post I’m going to give you a few ideas of how you can size up an affiliate marketing course and tell whether or not it would be a good investment for you. Before you buy anything online, you want to know who ís selling it. 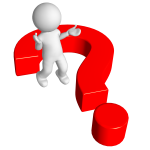 If you are able to visit their blog or forum, does the product creator’s participation show you what kind of person they are. Do you feel that you could trust learning from this person? 2. 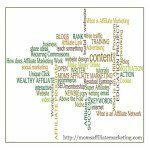 Does the affiliate marketing course cover everything in a step by step procedure? Some affiliate marketing courses are well-known for missing out on certain steps. The course creator assumes that you already know quite a bit of information. If the affiliate marketing course that you are looking at has an “over the shoulder” or “screenshot steps” list, then more than likely it’s a very good indication that it’s a viable product. 3. Does the course explain the most suitable kind of affiliate marketing that you would like to learn about? Some Product creators teach tangible affiliate marketing courses for Amazon affiliates. Some teach digital affiliate marketing courses. Some put together a combination of both the tangible and digit al aspects of each course. Make sure that you find out as much as you can about the course prior to buying. 4. 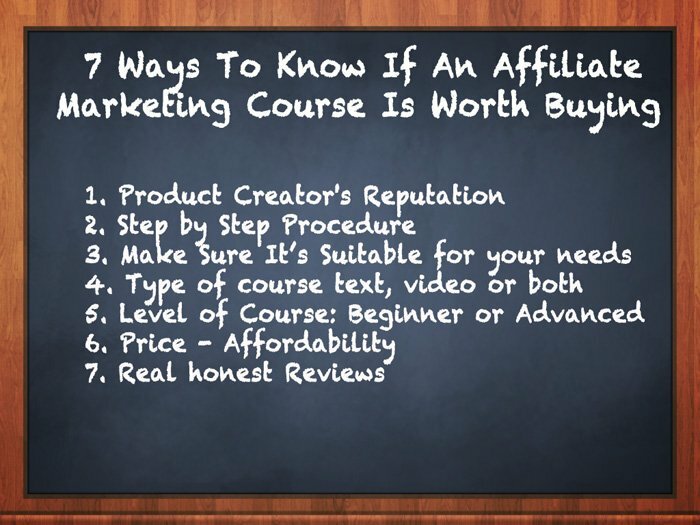 What sort of affiliate marketing course is it? Is the course video, text, or maybe both? Some people are visual learners others prefer text. Take into consideration the way you learn best. You may possibly need to “see” a step being carried out so that you can grasp it. Or, you might dislike video training and would prefer text and screen shots. It’s basically a personal choice, but first check to see what exactly is being offered. 5. Make sure you find out what level the course is for – beginner or advanced? What level are you on? Make sure the two coincide. There are some courses that are available that pick up where beginner courses finish, and are based on teaching you advanced affiliate conversions and the beginner steps have have been left out. Steps such as proper product research, domain purchasing, and site setup, etc. 6. Can you afford the price? You should never invest in an affiliate marketing course that will take food from your table or have you stressed because it doesn’t produce a fast enough return. If you are going to spend money on a course you are going to want to enjoy the process without any anxiety. 7. What are real honest reviewers saying about the particular affiliate marketing course you are thinking about buying? There are fake reviews and there are real ones. A real review will come from someone who bought the product, implemented it, and is sharing detailed information and results. A review that is not honestly written will hype what ís on the sales page and that is it. 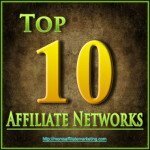 Finally, if you have a gut feeling that says no, then you need to find someone else to learn affiliate marketing from. The absolute last thing you want to do is spend money on an affiliate marketing course and find yourself uncomfortable with the ethics or quality of what ís being taught inside the affiliate marketing course. 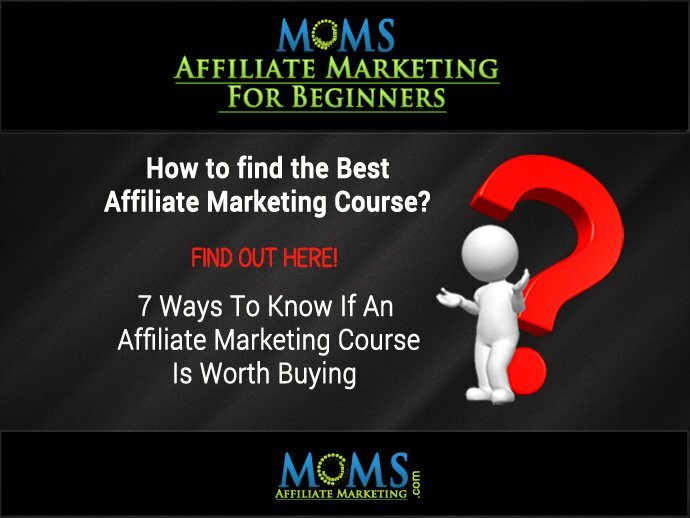 The 7 tips on finding the best affiliate marketing course is garnered from my own experience. 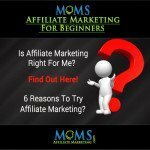 I can totally relate to beginners wanting a really good step by step course on affiliate marketing and end up finding a myriad of information out there and feeling totally overwhelmed. After a few years of trial and error and an exhausted pocket book, I found an ideal place that offers an affiliate marketing course and much, much, more. If you have loads of free time and would like to go through the diligence of researching all the courses that are available be sure to use the 7 recommendations above on how to find the best course available for your specific needs. But if you are strapped for time and want to get started immediately than you ought to give my #1 recommendation a try. It’s where I finally learned how to make a consistent living from my online earnings. You can test drive it for free (no credit card needed) and take as long as you want to get familiar with the community and all the courses offered. They offer a Phase 1 (10 lesson – Entrepreneurial Course) so you can actually get the feel of the place. You’ll even be able to chat with other people at all levels, before you even think about buying anything. I’ve been learning from this community as a premium member for almost 4 years now and I highly recommend it. So go ahead and read my own honest review and try it out for yourself and come back and let me know what you think.